Gather around the fire pit on the newly renovated patio. JC’s New York Pizza Department is celebrating their 16th year in business, they have grown from a corner pizzeria to one of Albuquerque’s mainstay stomping grounds. Community is the foundation of JC’s and they are proud announce they will be donating 10% of their profits from April 28 through May 4 to IAWF’s Student Scholarship Fund. 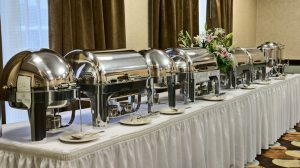 Visit our sponsors and vendors for a no host social reception. We will be serving heavy hors d’oeuvres and have a no host bar. The formal poster session will also be held in conjunction with the social reception. The only thing better than going to an Isotopes game is going to the game with a group of friends. When you register for the conference you can sign up to attend the Isotopes Game for $12.00. 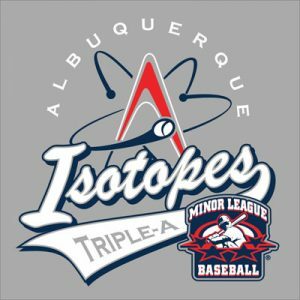 Albuquerque Isotopes are a Minor League Baseball team of the Pacific Coast League (PCL) and the Triple-A affiliate of the Colorado Rockies. They and play their home games at Isotopes Park which opened in 2003.